Comments: For sure this is one of those love/hate relationship coins. 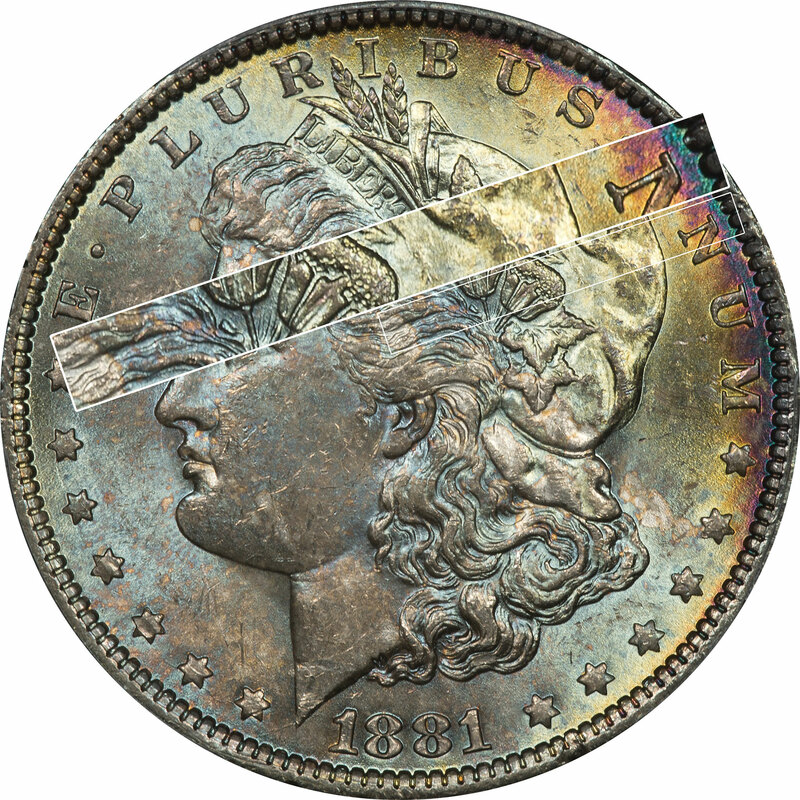 The obverse has an opalescence to it with some stronger bands of color in the upper right. The reverse has what appears to be water damage coupled with heavy toning that approached terminal, or black, coloration. The VAM 40 is characterized by a doubled ear both inside and at the bottom of the earlobe. The dark toning make this difficult to see in our images, but another feature is visible. The VAM 40 also has some unique markings in the ear that are almost like tiny gouges that extend down from the tragus into the concha and these are unique to the die. But did the graders get it right? When you drop all the color out of the image you can see that they are probably right on target. The coin does have some bag marks both in the fields and on the device. Just considering bag marks the reverse is probably a little better than the obverse. We might have put it up at the plus grade, but this is not the type toning that graders give great eye appeal. The moisture damage on the reverse, coupled with the color banks on the obverse, just speak to bag toning. We often associate the rich opalescence with bag toning. 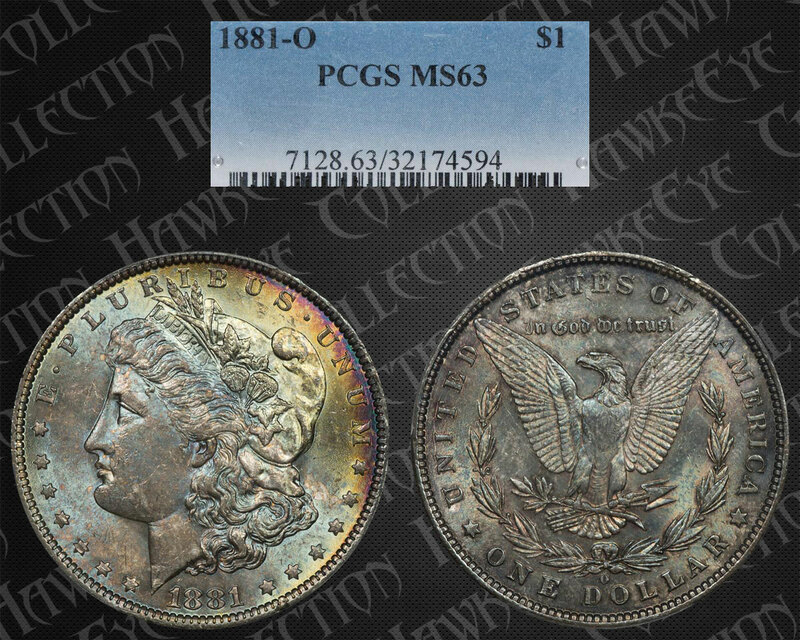 The bands of color on this coin also speak to bag toning. 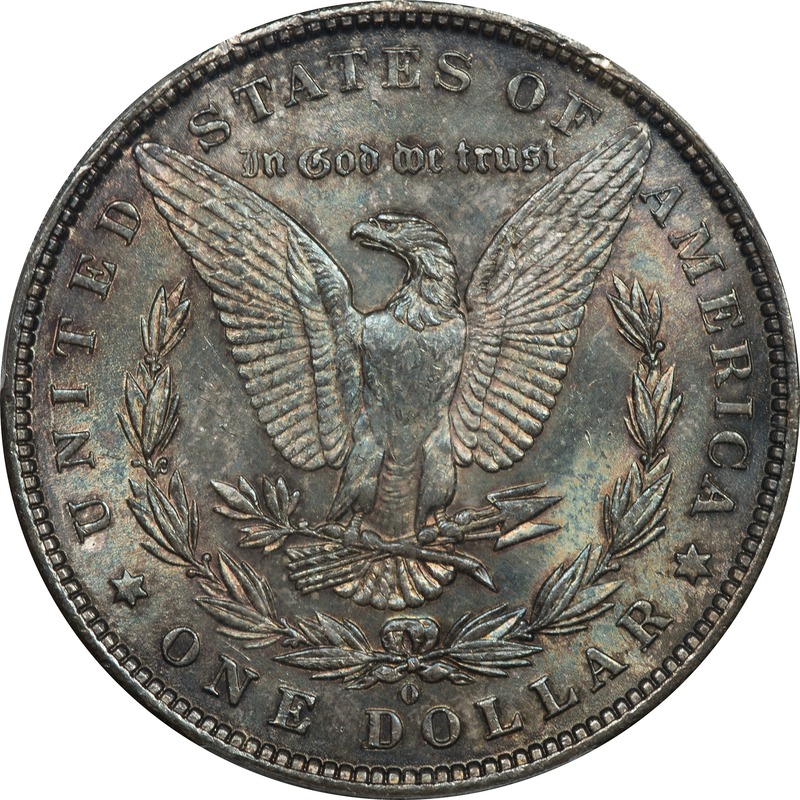 Right in the center of the obverse there is an un-toned area and then the color works out from there. There is some powder blue, and bright yellow. Then at the rim there is magenta, royal blue, and emerald green. For a study coin this is a great one.